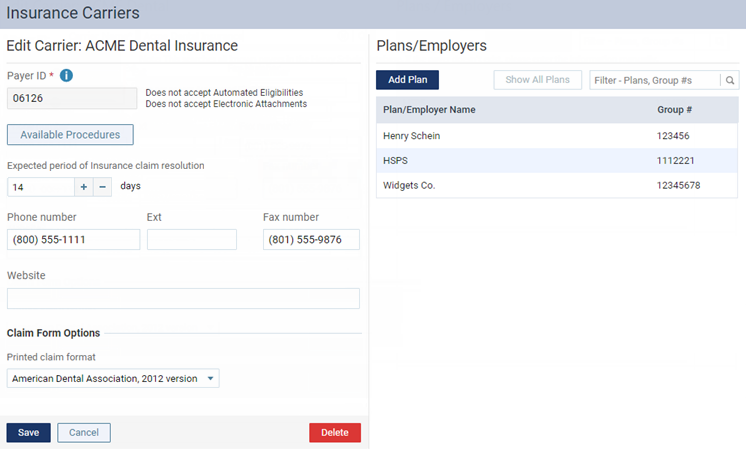 You can edit the details of any insurance carrier that has been entered into Dentrix Ascend manually. You cannot edit an insurance carrier that was added to Dentrix Ascend from the list of supported carriers maintained by Henry Schein One. Update the insurance information, such as the phone or fax number, as needed. You cannot change the Carrier Name. You cannot change the insurance carrier's Payer ID.